Can Toronto Build More Than 20,000 Condos per Year? 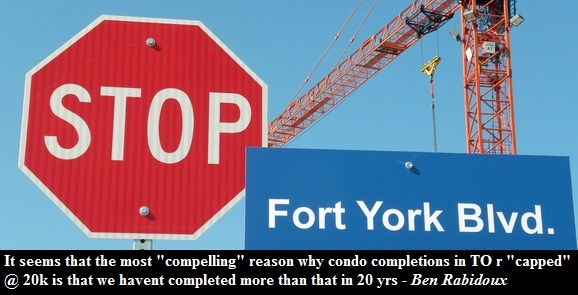 About 70,000 condo units are expected to be completed in 2014/15 but some say that ain't going to happen. Industry insiders believe that Toronto apartment completions are capped at around 20,000 units due to scarcity of workmanship. While it's true that for the past decade completions averaged way below the 20,000 mark, if we look way way back we can see on at least two occasions when the number of completions skyrocketed above the long term trend. Are we going to see 35,000 apartment unit completions in 2014? Who knows! 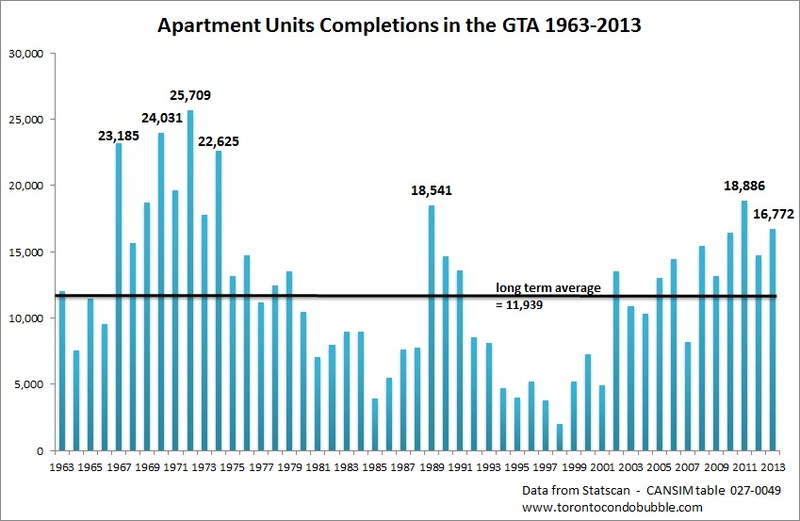 But is it possible for Toronto to deliver more than 20,000 units in 2014? History suggests that the answer is yes. Back in 1989 apartment completions jumped over 100% in one year and arguably the oversupply of units brought the entire market down. Will history repeat itself in 2014/15? Time will tell.